Before we had children, we decided we were going to love them with all of our hearts. We also decided the best way we could do that was to discipline them. To just let them do their own thing didn’t seem loving. My mom said we got more “hidings” than breakfast. I’m not sure about that but we certainly got our fair share. Sometimes it wasn’t fair, but we got it anyway. If no one owned up, we all got it. If we were misbehaving in the back seat of the car, Val would turn around and slap us all on the leg. We knew our place, and we knew what, “Wait “til we get home” really meant. It was no empty threat. We panicked all the way home, ran to our room and waited for it to be over. There were times when it was done with more emotion than was safe, but in general, the spoon, brush or stick was administered in a decent manner. We preferred Wilf’s spankings to Val’s. Threats like, “Wait ‘til your father gets home,” didn’t really work. Unfortunately for us, Val usually took it into her own hands. We wanted our children to know, from an early age, what it was like to experience pain. This was minimal pain compared to what REAL pain was like. “Don’t put that fork into the wall socket.” A sharp smack on the hand for doing it was a less painful consequence than 220 volts, but pain none the less. Learning that disobedience to important rules has painful consequences is a good thing. Val always said she could take us anywhere. We were well behaved and well liked. She wanted people to like her kids. That was important to her. She took pride in knowing we would look adults in the eye, greet them, say please and thank you, stand up for older people and behave ourselves in public. The way she dealt with public tantrums was to sort us out right then and there. We tried it once and never again. We knew not to mess with Val in public. If disobedience has no consequence, children will disobey. We all will. If we can get away with something, we’ll do it. If we know we won’t pay for it, we’ll take the chance. We had been in the presence of parents who had no control of their kids. Parents who had a great call on their lives, allowing their children to mess it all up. Children disrupting important meetings by being allowed to pull on their parents, interrupt while adults were talking and insisting on shouting and screaming their lungs out. Their helpless and hopeless parents sat back and watched it all with no authority to stop it. One mother, during an interview with a principal, allowed her toddler to walk all over his table and even eat his glue stick. Another dad, while in conversation with us, had his four year old punching, pinching and pulling on him. His only comment was, “I don’t know why I put up with this.” Our response was, “So why do you?” Foolish parents raise foolish children. The wise raise the wise. While chatting to him, we realised that he believed in the “free-spirit” philosophy. Baby spirits float around the universe, waiting for a baby to be born. They enter at birth. Who are we to try to change, train or rule over such a cute baby spirit? They are to be left to their own devices. Left to find their own way. Left to be wild and free. We could not have disagreed more. Our children were our responsibility. Left to their own devices, our family would have been less peaceful and way less enjoyable. Our lives would have been more difficult. We would have stayed at home more. The demands of our children would have determined our date nights, our travel and our day-to-day activities. We would have been like monkeys on the end of a chain. Well, it was either us or our kids at the end of it. We preferred it to be them. We were asked by one of the Woodstock teachers if we could put on a barbeque for thirty students. They would bring a band and all their equipment and make a night of it. We agreed happily. It was a big job but we pulled it off. Imdong screamed his head off and Gettem did every electric guitar lick he knew. There was no holding back. Right in the middle of the show, Jordan, just three at the time, tapped Tony on his arm and said, “Dad, I want a turn.” Tony tried to distract him. He kept coming back. 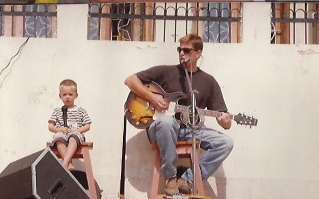 “Dad, I want a turn.” “Dad, when is my turn?” Tony told him to get his guitar and wait. He went upstairs to get it and sat impatiently next to Tony. When the band took a break, Jordan got agitated. “Dad, can I have a turn now?” Tony knew he wasn’t going to give up. He REALLY wanted a turn. Tony set him up with a bar stool and a mic. He settled down with his guitar. The students were all chatting and eating and not paying any attention to him. They thought he would play Twinkle, Twinkle, Little Star. Everyone was surprised when he belted out “Take me off the edge, I’m willing to die.” They cheered and clapped. It was hard to get Jordan off the stage. With all the daily activity and busy-ness, we felt we needed more time with our kids. We either had people eating upstairs with us, or we ate downstairs in the training centre with sometimes up to twenty people. One evening I noticed Ash trying to say something but she couldn’t get a word in edge-ways. She tried a few times, and then gave up. The adults had taken over. The next day we talked to our friends and told them we needed to keep dinner as a time for our family. They were fine with that, but our girls weren’t. The first night we sat at the table by ourselves, they burst out crying. They wanted to know why people couldn’t eat with us. We explained that we wanted time with just them. They didn’t get it. It took them a while to enjoy just being with us and we loved hearing their voices at the table again. 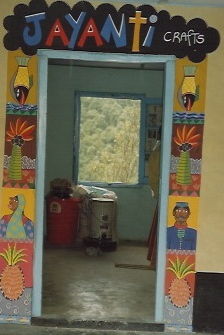 One of their favourite things to do was to go for walks in the forest with Bhaktu, Amar and the boys. They would climb the big Rhododendron trees; collect the huge red flowers and bring them home to make chutney and jam. 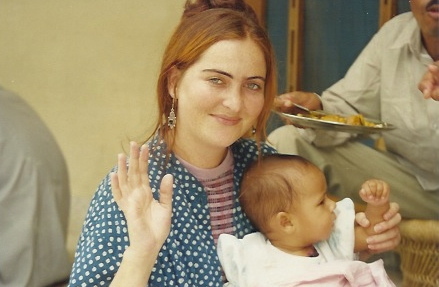 The more we watched our children loving their lives, the more we realised how vital they were to our call to India. They opened so many doors for us. They loved unconditionally and totally, with no holding back. They saw foreign language as a door, not a barrier and it didn’t scare them. The games they played, the simple lifestyle they were happy to live and their appreciation and gratitude always challenged us. We were so glad we didn’t leave them with granny. So glad they were on the journey with us. It wasn’t long before we realised that India was the best place to raise our kids. We could not have chosen better. Once again, the will of God was good, pleasing and just perfect. Tiffany Wallace had come to stay. 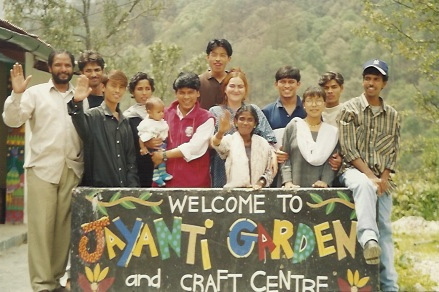 She was an incredible ceramicist and wanted to help us set up a project we called “Jayanti Crafts.” We figured it would be a way to generate some finances for the community. We were also hoping it would give the trainees a way to earn money when they went to start their own communities one day. Uncle and Aunty gave us two of their rooms and a little courtyard on rent. It was perfect. We got a wheat shredder, which did a great job at shredding newspaper for the paper mache. Tiffany made moulds out of plaster of paris and taught the trainees to paint the products. Everything was dried in the sun. 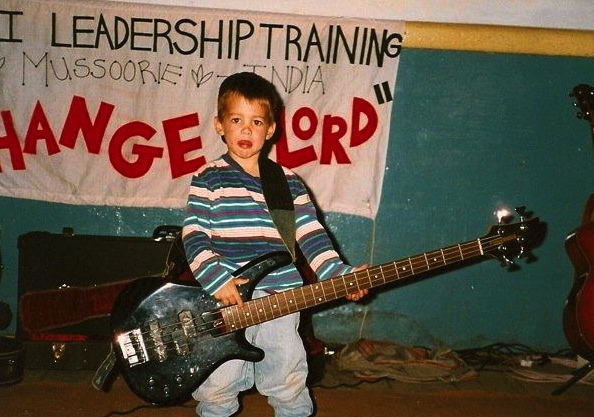 We had devotions and teaching sessions every morning and then off to work. It was such fun. 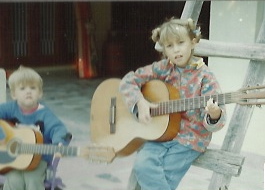 There was always singing and laughter coming from the craft centre. Tony had the idea to start a café on Saturdays. 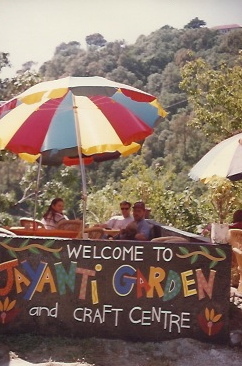 We called it “Jayanti Garden.” Guy Emery had a catering background and he was keen to take it on. The menu was simple: sandwiches, rolls, Guy’s cheesecake, brownies and milkshakes. We got tables and umbrellas and set it up near the craft centre. Students from Woodstock and The Language School were our main customers. When we first moved to Dhobi Ghat we wondered if anyone would visit. We were so far from everything and everyone; but it didn’t take long for people to find us. It wasn’t long before there was noise and life. Everyone was busy. When the sun set we had concerts and amazing worship times under the stars. The valley was filled with the sound of singing. Once again, our house was full and so were our hearts. Once again, we had found our happy place. We had a tiny TV. It was only plugged in when we wanted to watch a video. There was no cable connection; which was perfect because we didn’t want one. Those were the days of Anne of Green Gables, Christy, Little Mermaid and Ever After. We watched those over and over again. When we felt like watching something else, we rented a movie from the only video rental shop in the bazaar. It belonged to one of the Dhobi families. The movies were pirated and it was stressful having to look through many dodgy ones to find one decent one. There wasn’t much else to do in Mussoorie, so his video business did well. 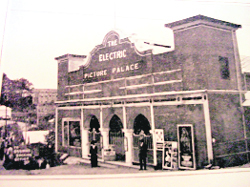 Oh, there was Picture Palace, the old movie theatre at the bottom of Malenga Hill in Kulri Bazaar. Tony and I once went on a date to see Jurassic Park in Hindi. There were no subtitles but it was pretty self-explanatory. The theatre was as run down inside as it was on the outside. There were a few people scattered here and there, and even with the lights on, it was dark. We sat in the back row, ready for a quick get away. The ceiling looked precarious. It was monsoon and there was water dripping onto the seats in different places. We agreed to open our umbrella if the need arose. Our surroundings added to the suspense of the runaway dinosaur in the lab. The Video Rentals were interesting. Most of them were filmed from the back row of a movie house. The goal of the pirates was to get a copy of the movie, without being caught, come hell or high water. It didn’t matter that the video camera was held still or straight. It didn’t matter that the back of movie watchers heads took up half of the frame. It didn’t matter either that people could be seen standing up, stretching and getting up to go to the bathroom. It wasn’t even an issue that the movie was longer than the DVD it was recorded on. People kept asking us if we had seen The Titanic. When it finally came to “Pappu’s Video Rental” we snatched it up. We put the kids to bed and pulled our double couch close to the small TV screen. We were glued. Jack and Rose were floating around on their plank of wood. Lifeboats kept missing them. Jack was freezing. Rose kept calling, “Jack, Jack.” Jack was holding on for his life. Suddenly everything went digital and the DVD popped out. We sucked in our dribble and stared at the screen in disbelief. We looked at each other and said, “What?! !” We watched the end years later. Darn pirates. We were situated on the edge of a valley in the middle of nowhere. It was peaceful and beautiful. The perfect spot for us; but it wasn’t long before we realised we were going to have water and electricity problems. Our water supply was a small stream a kilometre down the hill. We managed to get a pump, which filled a tank close by. The problem was, we didn’t always have sufficient power to get the water to the tank. We lived on fluctuating voltage. When it was low, nothing worked. When a surge came in, it blew all our light bulbs and fused our electrical appliances. We invested in some stabilisers; which sorted that problem out. When we first moved in, we were grateful for the low voltage. The house wasn’t earthed. The girls discovered that when they grabbed both taps while they were bathing. Our computer regularly shocked us and appliances were tapped lightly to test for tingly current. We called a guy who dug a hole in our garden and earthed us. It was fun being able to go barefoot around the house again. The little stream flowed quite well in the monsoon, but almost completely dried up in summer. When there was no power and no water, the guys went down the hill with buckets. They would often find the pipe blocked with leaves and dead frogs. On occasions, we would go without a full bath for a week at a time. There was only enough water for the stinky bits. Once, Guy Emery brought a bucket up for me to wash my filthy hair. I was leaning over it, just about to scoop out a jug of water when I saw leeches wriggling around at the bottom. I was so desperate; I just closed my eyes and kept scooping. Friends from South Africa regularly sent me bubble foam, not realising that we didn’t have a bath. BUT, we did have a big, blue 50 litre bucket. I had spent a few days dreaming about having a bubble bath. I planned it and made sure I wasn’t going to be interrupted. It was in the monsoon so water wasn’t a problem. I filled the bucket up with warm water and there were plenty of bubbles. I tried to go in feet first but that didn’t work. I couldn’t sit all the way down. I got out and reversed onto the bubbles; my arms and legs dangling over the edge. All my beautiful bubbles overflowed onto the floor as I hung there, not able to move. I was stuck. I couldn’t reach the floor and I was too far from the sink to pull myself out. I had no option. I called Tony to rescue me. When he finally stopped laughing, he “tried” to pull me out. When that didn’t work, he tipped the bucket and me onto the floor. He told me I looked like a blue turtle and laughed some more. I was red faced from the hot water and all the huffing and puffing. We were in fits. The kids came to see what all the laughter was about. My dream bubble bath had turned into a circus. Not the quiet moment I had planned. Our friend Anil Kapoor, owner of the Brentwood Hotel, was getting rid of a big ceramic bathtub; a REAL bathtub. He said we could have it. The kids were so excited when it arrived. It was heavy and a real mission to get up the stairs and into the bathroom. We didn’t think to measure it. When the guys moved out of the bathroom, we went in to have a look. It fitted perfectly under the taps. There was no plug but we could make one. The only problem was that it was too long. It rested on the toilet and covered part of the seat. We all happily agreed that we could adjust our sitting styles for the sake of having a bath. Anything for a REAL bath. I got to the end of the year and realised my diary was empty. So much had happened, but I had no record of anything. I hadn’t made time to sit and ponder. With all that was going on, I had neglected the main thing. Meditation. What has been done, time?